This brother and sister duo stole their forever family's heart the moment they laid eye on them! 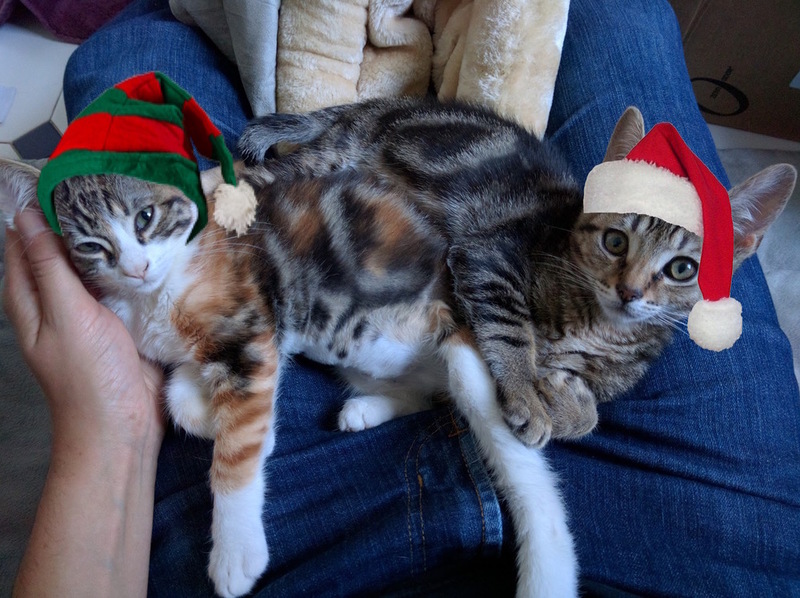 They've quickly purrr-fected the art of lap warming and being a little too cute for words! It's been a long way from the Bart station in Millbrae to a cozy cottage in Redwood City- but these handsome boys don't shun away from the spotlight! Snowshoes came first, and her dad loved her so much he came back to us for another kitten... Fern! So although they're not technically related, they've made a purr-fect blended family! Two kitten are definitely better than one. 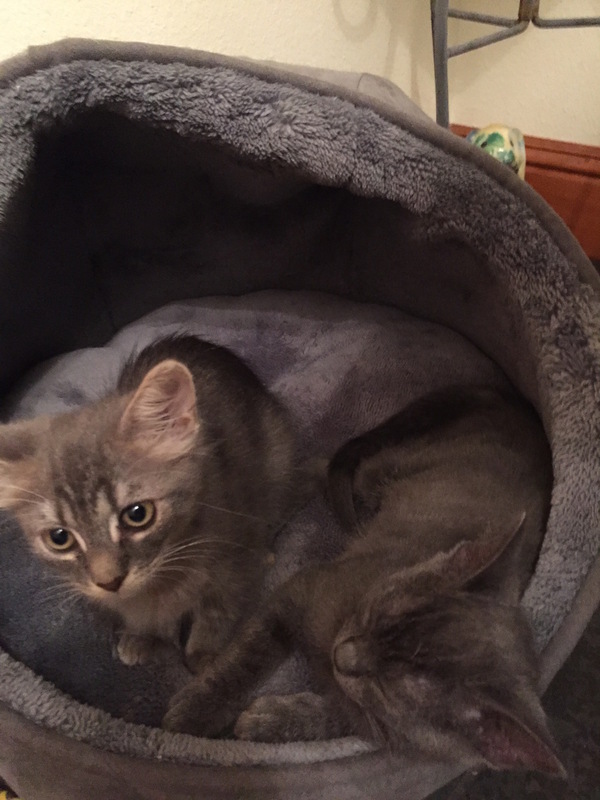 Found on a pier in Pacifica, these two brothers are now safe and warm with their loving family in San Carlos! Since Grey has moved in with his awesome new family he's become an expert mouse fetcher and loves to play with water. Let's all raise our paws to a happy ending! Few moments in life are sweeter for us then when one of our kittens gets whisked away, smiles and all, to their new forever home. We're just lucking their awesome foster mom was there to snap this special shot! Their new family waited so patiently for these beautiful sisters to be ready for adoption, and quickly took them into their fold when they were. The girls don't want for anything- and that's just how we like it! Their adopter says, "My kids are having a great time caring for them. Even cleaning the litter box!" Maybe we should patent our magical technique...! Mango has become the fifth member of his forever family and loves getting in the blankets for cuddles and proudly won gold in the World Championship Toe Nibbling Contest! 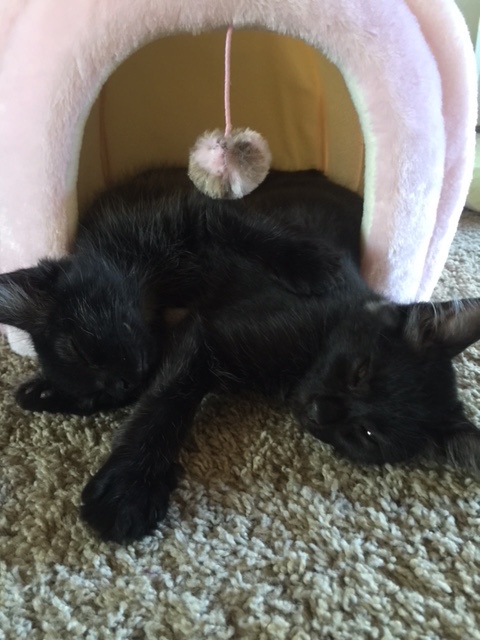 These brothers hit the jackpot with their forever family! There's never a shortage of snuggles and kisses- and that's how it should be! Scruffles quickly climbed the corporate ladder at her new home and works hard at her position of "Official Lunch Taster". What a lucky dog indeed! One of our first adoptions ever, Smudge has a special place in our heart! He lives with his mom, another cat, a dog, and a little girl and shows his gratitude to his big family with kisses and cuddles for all! Luckily for us all, our volunteer spotted Penny as she was about to be surrendered to the shelter, and she has become a good luck charm for us all. Her forever mom doesn't know what she'd have done without her- and after meeting her- neither do we. 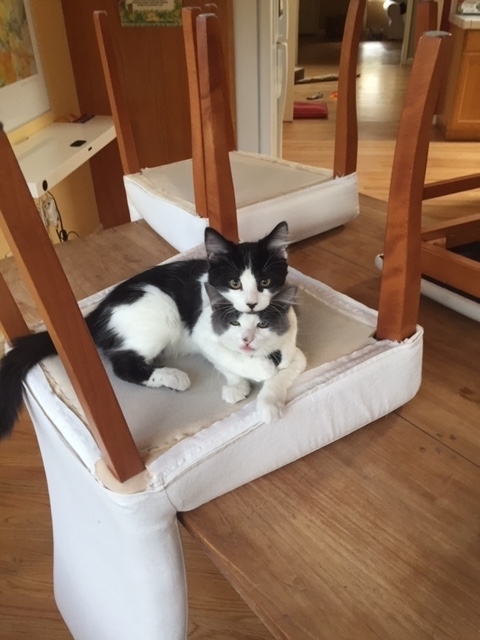 Discovered abandoned on a garage roof with her siblings, this stunning young lady's luck turned for the better when she found her forever family at an adoption event in San Carlos. She now lives in a big house with an orange kitty cohort. After a rough start to life, these sisters are enjoying every minute of their loving forever home in Portola Valley, sleeping on fluffy feather duvets of the 5 and 6 year old boys who call them their own. They even tolerate their rescue dog brother, Chip, as there are always extra treats for all!